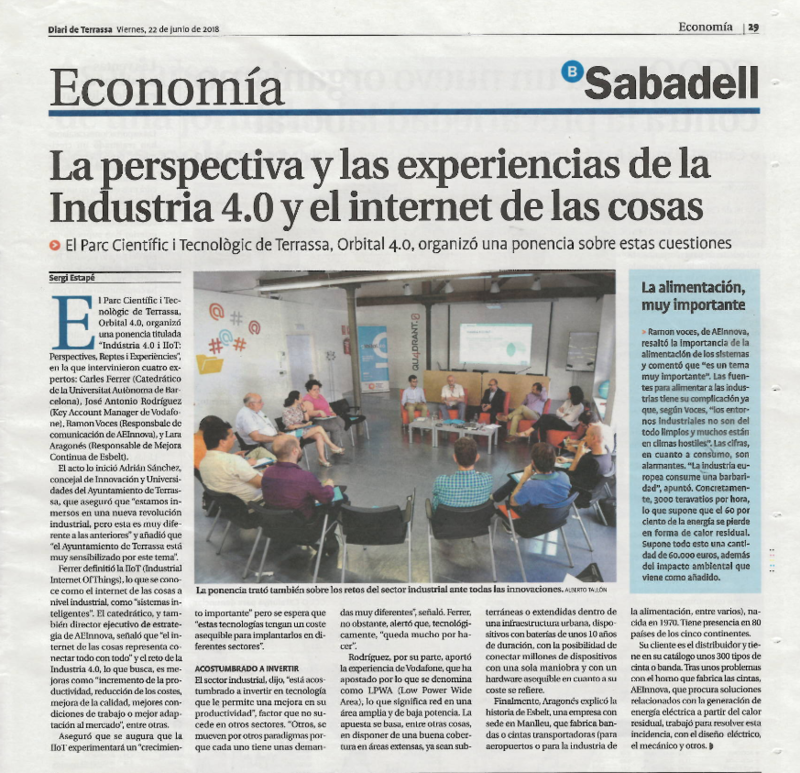 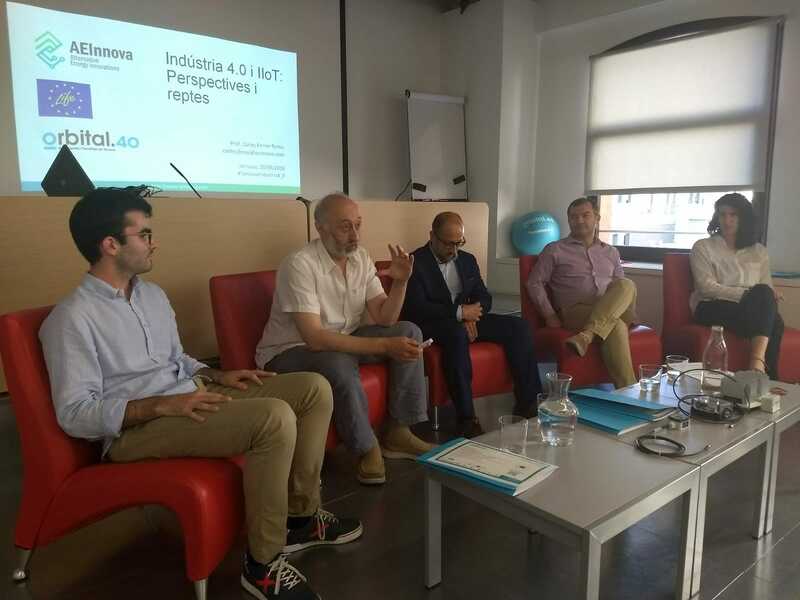 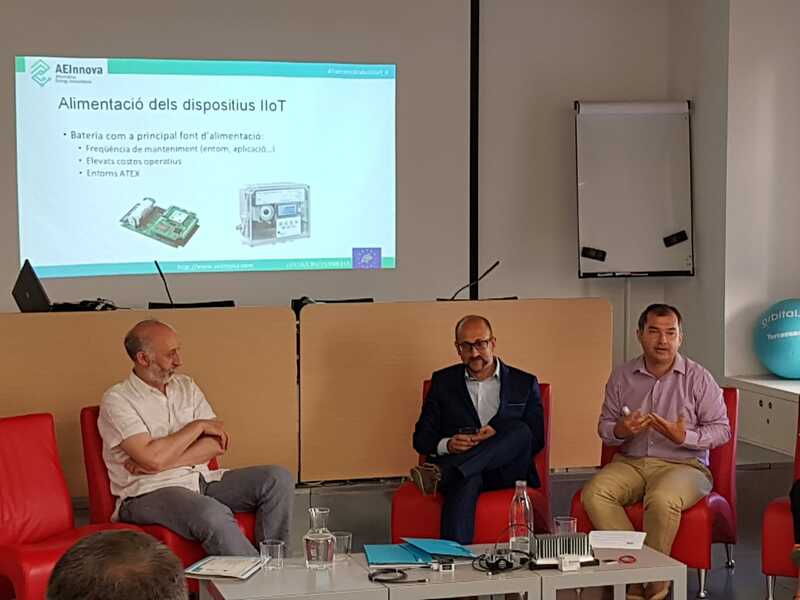 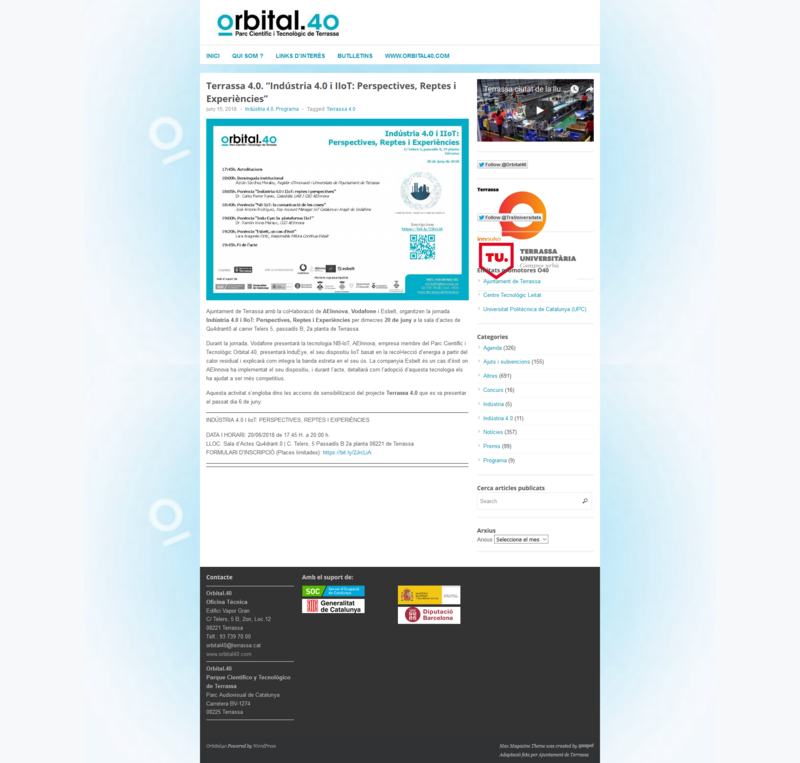 Aeinnova has been invited to participate in the Industry 4.0 & IIoT conference: Perspectives, challenges & experiences organized by Orbital 4.0 within the framework of the Industry 4th promotion of the Terrassa City Council. 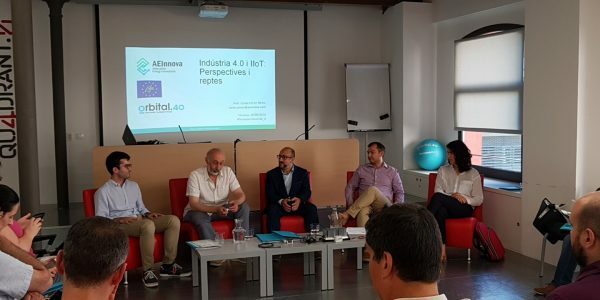 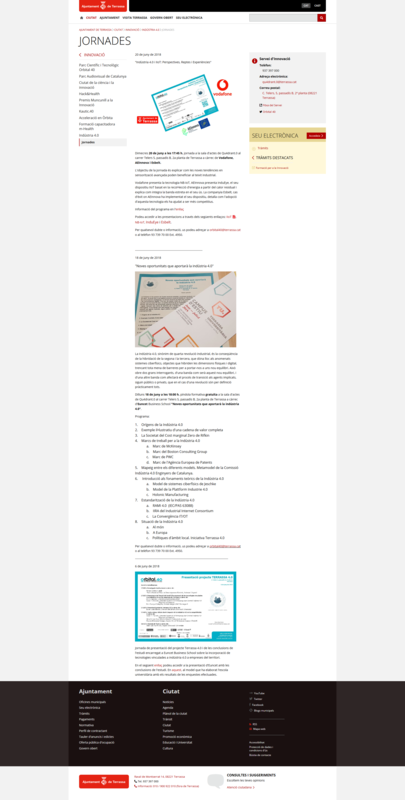 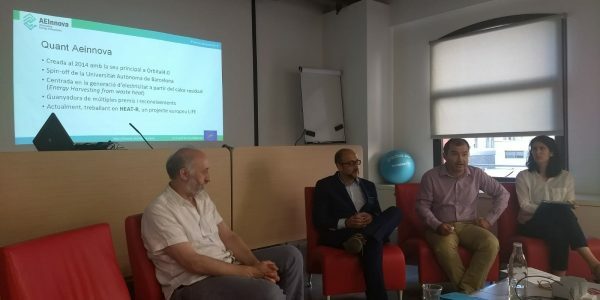 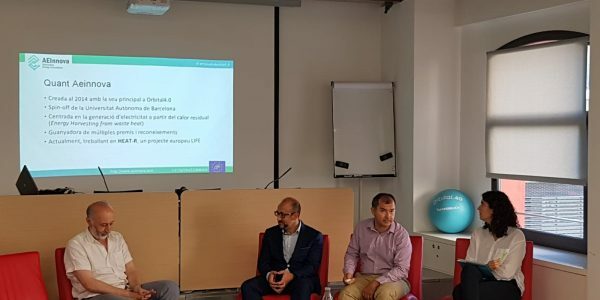 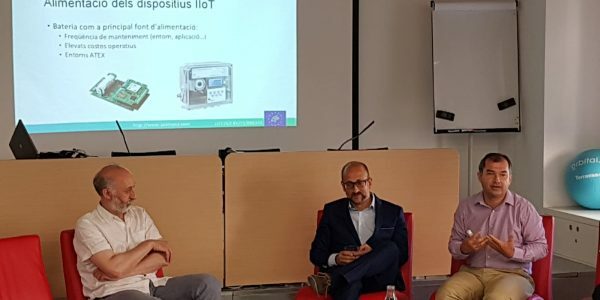 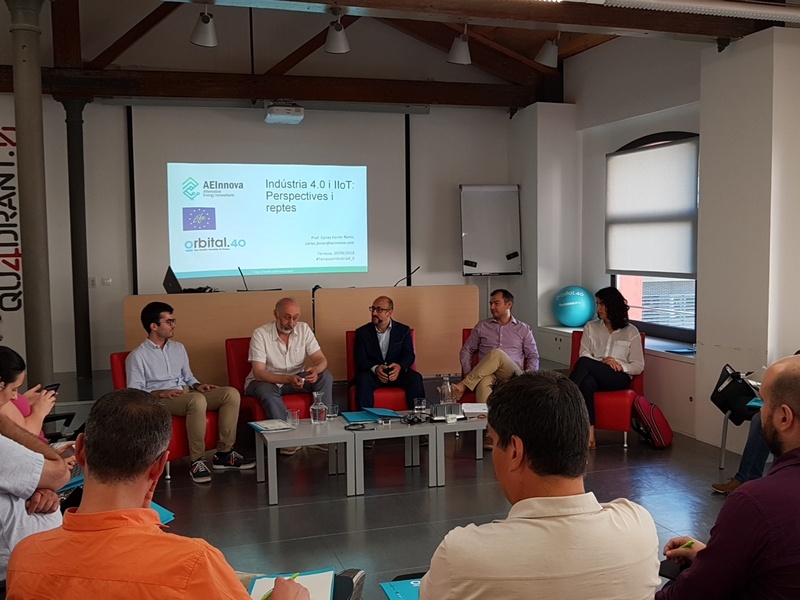 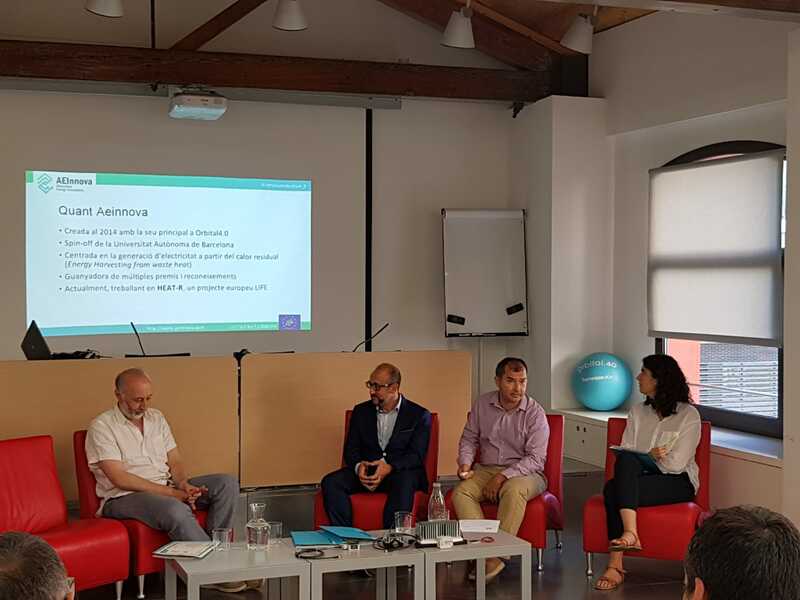 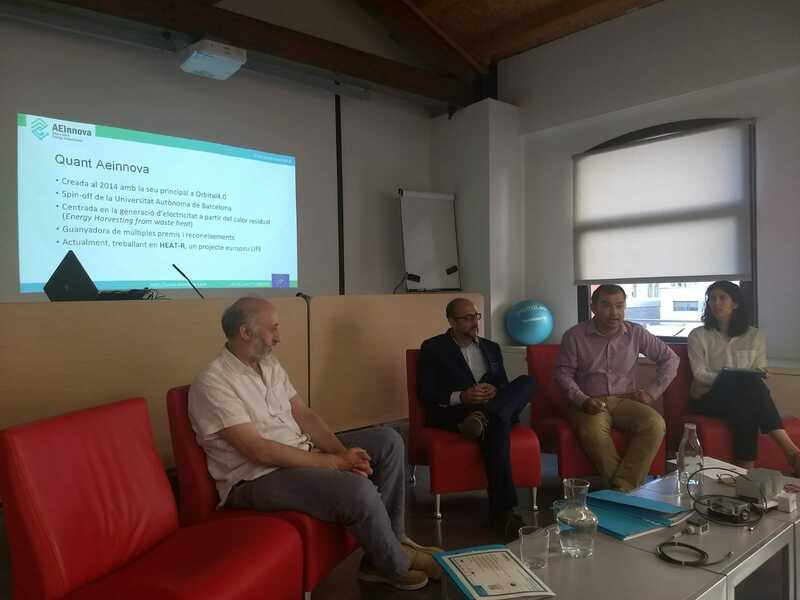 In addition to Aeinnova, they participated in the Vodafone conference, presenting their communications technology NB-IoT and Esbelt as a company where Industry 4,0 innovation project has been implemented. 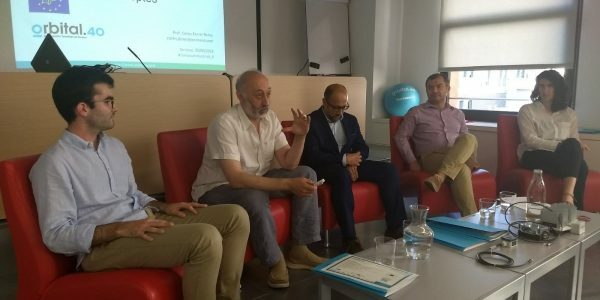 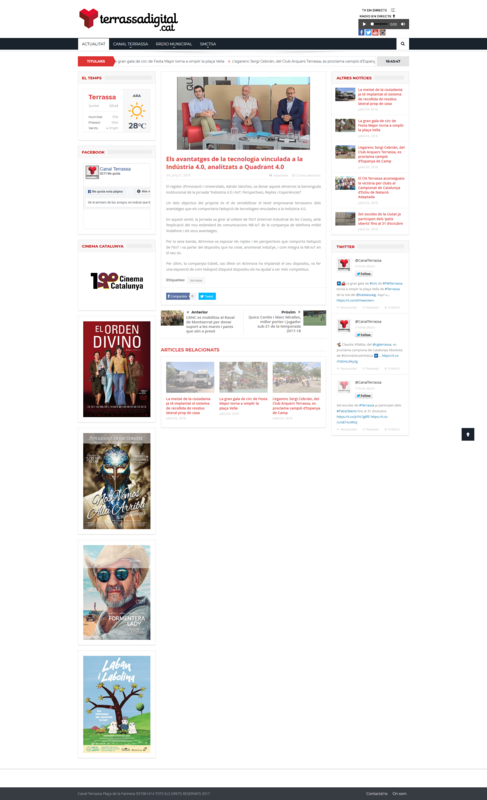 The global participation was around 25 people and there was a local impact on the media so we value our participation as very positive.